Article by Mike Lancaster. Pictures by Chris Newsome. The 2009 Flamsteed Lecture was held on the 9th December 2009 at the University of Derby Kedleston Road campus. Former shuttle astronaut Professor Jeffrey A. Hoffman enthralled the audience with his talk entitled The Hubble Space Telescope - Past, Present and Future. Professor Hoffman made five flights on the shuttle, including the first mission to repair the Hubble Space Telescope in 1993. He has logged more than 50 days and over 20 million miles in space and is currently Professor of the Department of Aeronautics and Astronautics at MIT. There was some amazing footage of the repair mission and of the Earth from space. Especially memorable was a stunning view of the Earth at night, including the lights of cities, the flashes of thunderstorms and even a meteor streaking through the atmosphere below the shuttle! We also learned that Professor Hoffman has local ties, having married a Leicestershire lass he met when undertaking postdoctoral research at Leicester University in the 1970s. After the lecture the Society stand in the Atrium which included a display of our activities was a throng of activity with many attendees coming over to see what we were about. 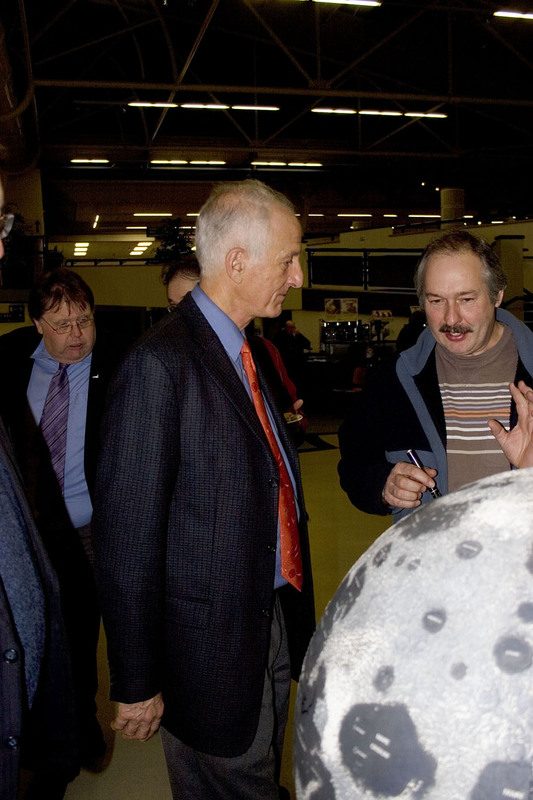 DDAS member Mike Dumelow brought along our Moon globe and Professor Hoffman added his signature to the distinguished line of autographs which now cover its surface including Apollo astronauts Buzz Aldrin, Charlie Duke and Alan Bean, and astronomer Patrick Moore among others. The following photographs were taken after the lecture by Chris Newsome. 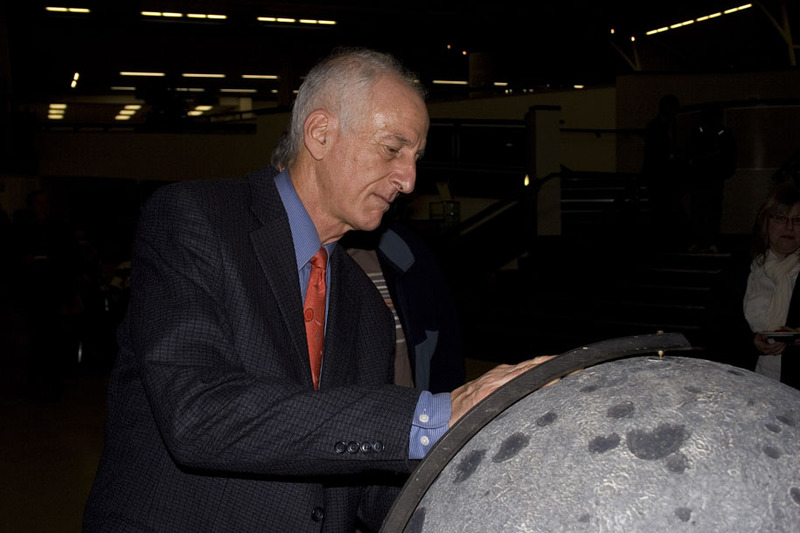 Jeff Hoffman signs our Moon globe. 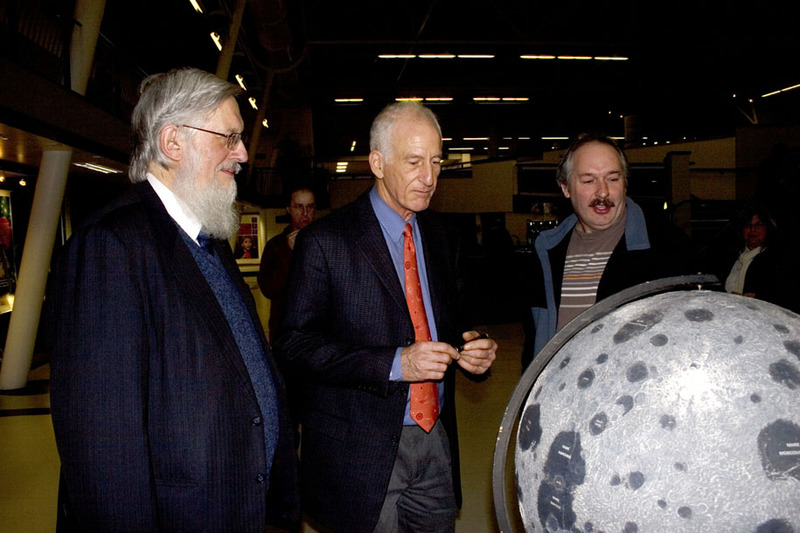 Left to right: Professor Jonathan Powers, Professor Jeff Hoffman and DDAS member Mike Dumelow with our Moon globe. DDAS Chairman Anthony Southwell talks shop with Professor Hoffman. 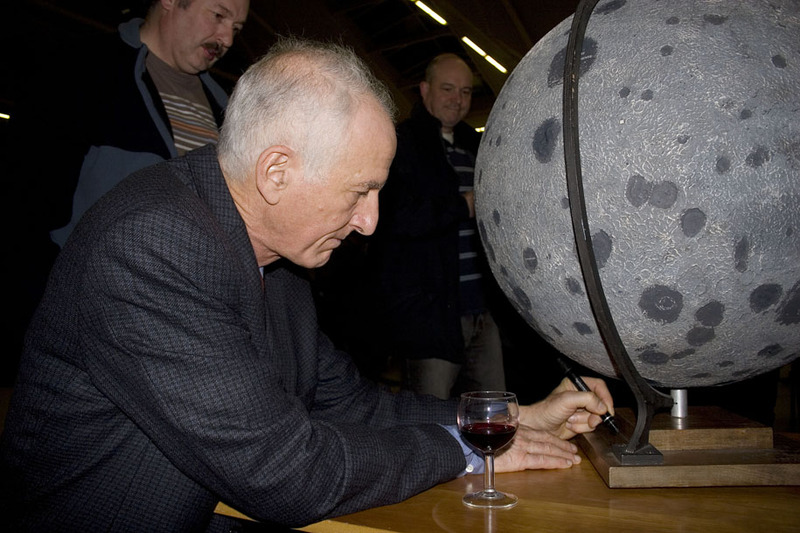 Professor Hoffman also signs the base of our Moon globe. 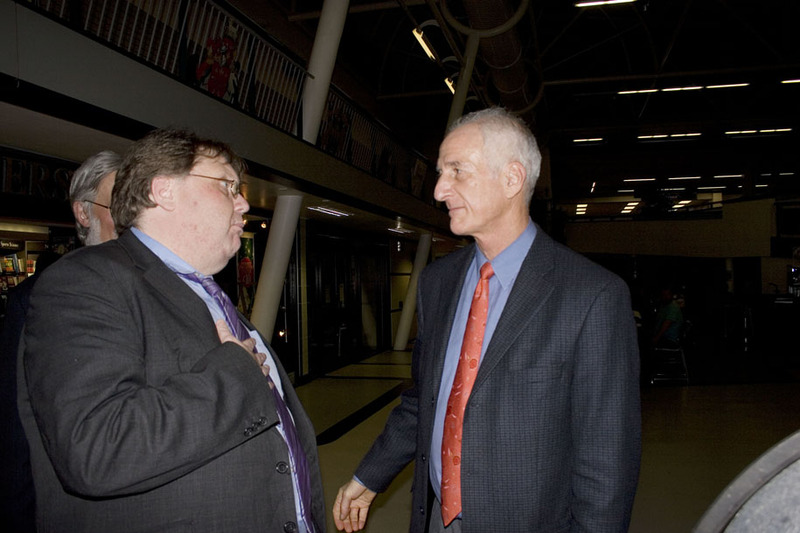 DDAS member Mike Dumelow talks to Professor Hoffman.